Saigon Pearl apartment for rent, 2 bedrooms fully furnished, block Topaz tower 1, 10th floor, Saigon river view, good price 1000 USD/month. – Gym, playing tennis, swimming pool, spa services, gym play gold, billiards room, library room, sauna, massage room, beauty salon (including care services for men). – International telecommunications services (high-speed Internet, wireless, cable TV, IPTV …). Professional security services security 24/24. Please contact our company for more information. Hotline: Mr. Jack 0906 765 092 (Sales Departments). 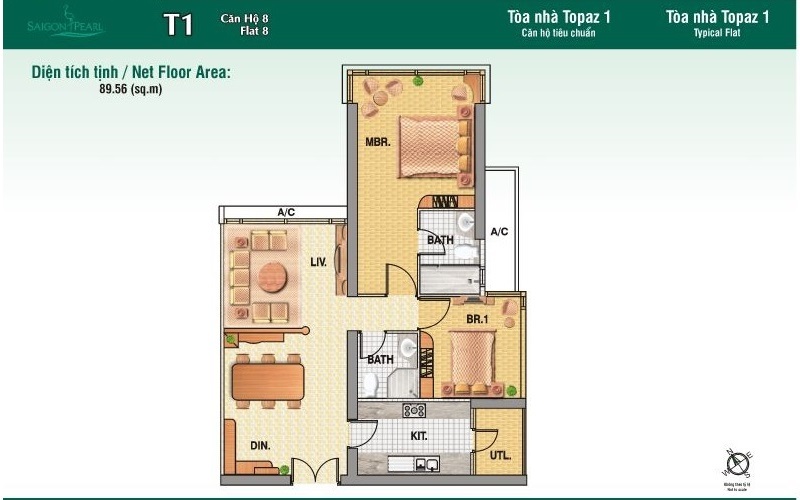 Apartment for rent in Saigon Pearl at 92 Nguyen Huu Canh street, Binh Thanh District, Ho Chi Minh City, this apartment in block Topaz tower 1, 9th floor view to Central Park and Saigon river, fully furnished with: 42 inches tivi,..
Saigon Pearl apartment for rent, 2 bedrooms fully furnished, block Topaz tower 1, 10th floor, Saigon river view, good price 1000 USD/month. Apartment for rent in Saigon Pearl has 2 bedrooms, 2 bathrooms, living room and kitchen in 90 sqm, kitchen..